My friends threw me a surprise birthday party yesterday. It was a lovely gathering. 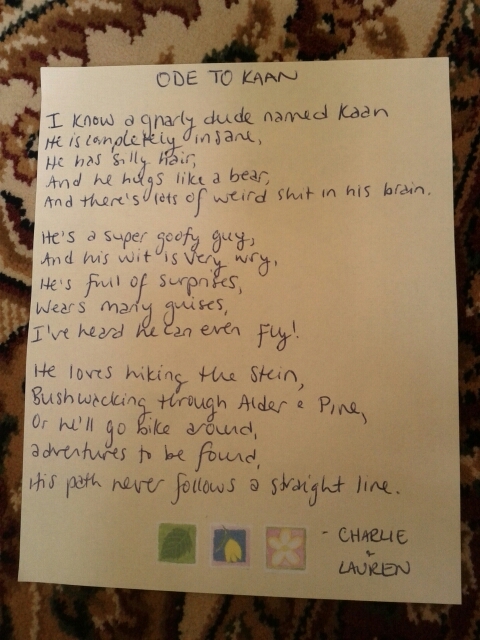 This marvelous poem was presented to me by the wonderful Lauren and Charlie.